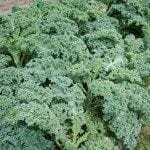 I planted my kale around the end of September and it is just now starting to grow shoots. Can I somehow mulch it or something so that it will grow again next spring? 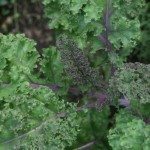 Yes, in milder regions kale can survive over winter. I am not sure how well it will do in your area but it is always worth a try, so go ahead and mulch the plants well. If you can possibly provide additional protection with row covers, that would likely be better.